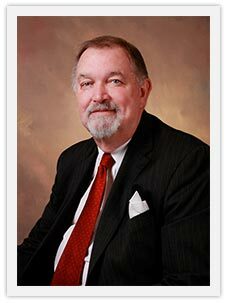 Clackamas Criminal Defense Lawyer Jon S. HenricksenJon S. Henricksen, P.C. As a past municipal court judge for 28 years, Jon has presided over hundreds of DUII and criminal cases, and as a trial lawyer will effectively and aggressively represent you in court. He also understands land use and planning issues, having served as a pro tem Land Use Hearings Officer for Clackamas County. And as a pro tem Judge, Jon performs marriages and domestic partnerships in both english and spanish. Municipal Judge, retired. City of Canby, 1979 to 2007; City of Molalla, 1983 to 1996; City of Happy Valley, 2003 to 2006. Presiding over misdemeanor criminal cases, traffic matters and city code violations. Court Appointed Counsel, City of Oregon City Municipal Court, 2012 to present. National Judicial College, past lecturer. Oregon Municipal Judges Association, past Board of Directors. Former Clackamas County Land Use Hearings Officer (pro tem). Other: Instructor in political science, real property and land use at Clackamas Community College and Clark College; past board member Clackamas County Housing Authority, Clackamas County Civil Service Commission, Clackamas County Fair Commission. In addition to practicing law, Jon enjoys playing piano, fishing and golf, and works extensively to help those who suffer from substance abuse issues.